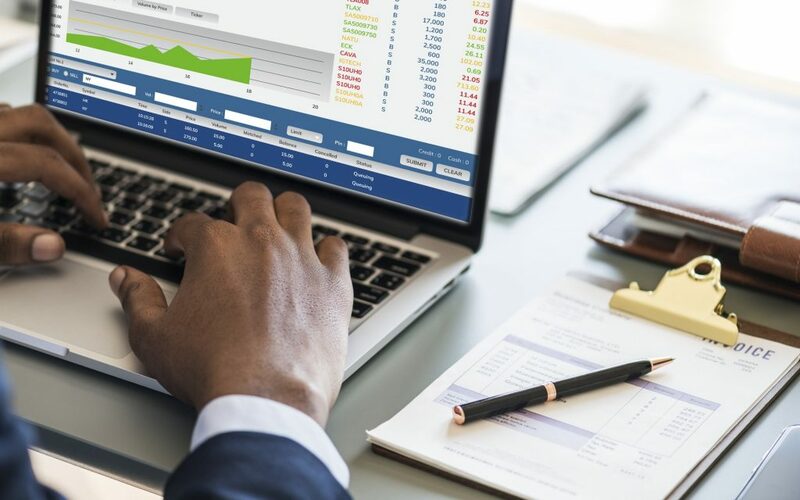 An important component of Accounting Standards Codification (ASC) 606 is guidance on the proper presentation of balance sheet items generated when parties perform in revenue-related contracts. An entity performs by transferring goods or providing services to a customer, and a customer performs by paying consideration to an entity. When one of the parties satisfies its obligation, the performance can be reflected in the financial statements as a contract asset or contract liability. While exhibiting similarities to prior guidance relating to accounting for construction- and production-type contracts, the concepts of contract assets and contract liabilities are new. Furthermore, under ASC 606, contract assets and contract liabilities may be recognized for all types of contracts. A contract asset is an entity’s right to payment for goods and services already transferred to a customer if that right to payment is conditional on something other than the passage of time. For example, an entity will recognize a contract asset when it has fulfilled a contract obligation but must perform other obligations before being entitled to payment. This is in contrast to a receivable, which is the right to payment that is unconditional, except for the passage of time. Therefore, a receivable is not a contract asset, and each is presented separately (ASC 606-10-45-3). A contract liability is an entity’s obligation to transfer goods or services to a customer at the earlier of (1) when the customer prepays consideration or (2) the time that the customer’s consideration is due for goods and services the entity will yet provide (ASC 606-10-45-2). Generally, contract assets and contract liabilities are based on past performance. The key to determining which to recognize is ascertaining which party acted first. For example, when a customer prepays, the receiving entity records a contract liability—an obligation that must be fulfilled to “earn” the prepaid consideration. Once the entity performs by transferring goods or services to the customer, the entity can then recognize revenue and adjust the liability downward (ultimately to zero). The proper accounting for a contract liability is very similar to treatment for deferred or unearned revenue. There is a possible exception to the past performance rule: in the case of non-cancellable contracts, an entity may actually record a contract liability before payment has been received. Suppose an entity and its customer enter into a contract to deliver goods and agree on dates for payments. Assume the date for a customer’s prepayment arrives, but the customer fails to pay on time, and the entity has not yet delivered goods. The entity recognizes a receivable because non-cancellable contract payments are treated as guaranteed. In this circumstance, recognition of the receivable is based on the contract’s payment schedule. It is not linked to the timing of revenue recognition. In conjunction with the receivable, the entity will also recognize a contract liability to deliver goods. This liability will be reversed and revenue will be recognized once the entity fulfills the performance obligation by delivering goods to the customer. It should be noted, however, that there is a general resistance to “grossing up” the balance sheet. If a payment is due and has not been made, a company will likely consider other factors in determining whether recognizing the receivable is appropriate (e.g., concerns about the relationship with the customer, enforceability of the arrangement, or collectability of the enforcement). Receivables and contract assets are both subject to impairment testing in accordance with ASC 310-10-35 (Receivables – Subsequent Measurement). When there is a difference between a receivable linked to a contract liability and the associated revenue later recognized, the refundable amount is treated as an expense (ASC 606-10-45-4). Impairment losses on receivables or contract assets from contracts with customers are presented separately from other impairment losses. Entities are not required to use the terms “contract asset” and “contract liability” (606-10-45-5). For example, contract assets may be termed as unbilled receivables or progress payments to be billed. Contract liabilities might be described as deferred revenue, unearned revenue, or a refund liability. On January 1, 20X9, McGregor Aerospace Corporation enters into a cancellable contract to deliver a rocket guidance system to its customer SD Researchers on March 31, 20X9. The contract requires SD to pay consideration of $100,000 in advance on January 31, 20X9. February 28, 20X9: McGregor receives cash of $100,000 (cash is received in advance of performance). March 31, 20X9: McGregor delivers the guidance system, and thereby satisfies the performance obligation. January 31, 20X9: The amount of consideration is due. Because the contract is non-cancellable, the receivable is recorded. February 28, 20X9: McGregor Aerospace receives cash of $100,000. March 31, 20X9: McGregor Aerospace delivers the guidance system, and thereby satisfies its performance obligation. On January 1, 20X7 Partially Hydrogenated Suppliers Company (PHS) enters into a contract to deliver (1) a mixing machine and (2) an industrial deep fryer to its customer Wholesome Healthy Baking Company (WHB) for $5,000. The contract requires the mixing machine to be delivered first and states that the $5,000 payment is only due after PHS has transferred both the mixing machine and the industrial deep fryer to WHB. PHS identifies the promises to deliver the mixing machine and the deep fryer as two unique performance obligations. Using relative standalone selling prices, PHS allocates $2,000 to the performance obligation to deliver the mixing machine and $3,000 to its obligation to deliver the deep fryer. On January 1, 20X0, McCoy Technology enters into a contract with Carmichael Systems to deliver computer processors for $20 per unit. If Carmichael purchases more than 100,000 products in one calendar year, the agreement states that the price per unit will be retrospectively reduced to $15 through a rebate. According to the contract, consideration is due when control of the products transfers to the customer. As such, McCoy has an unconditional right to consideration for $20 per processor until 100,000 units ship, at which point the retrospective price reduction will apply. McCoy recognizes a receivable assuming the full price because at this point, it has an unconditional right to receive that amount. The refund of $5 per processor is what McCoy expects to provide Carmichael in a volume-based rebate (see our article on Volume-Based Rebates). The refund liability is a contract liability because it is conditional upon additional purchases by Carmichael (606-10-32-10). McCoy recognizes revenue only for the amount it expects to receive after the price reduction. McCoy will address the refund liability’s impact on the receivable as an expense at a later point. One concern about the new guidance is whether an entity could have both a contract asset and a contract liability for a single contract. For example, assume an entity has two performance obligations to fulfill in a contract. It has fulfilled the first and recognized a contract asset. Additionally, the customer prepays in respect to the unfulfilled second obligation. What is the proper treatment at this point? View A: Performance obligations are the level at which contract assets and liabilities are presented. Under ASC 606, entities recognize revenue based on satisfaction of each performance obligation. Therefore, the entity could present both a contract asset and contract liability for a single contract. View B: ASC 606-10-45-1 states that an entity presents the contract as either a contract asset or a contract liability, net. As such, the boards concluded that the remaining obligations should be presented on a net basis, either as a contract asset or a contract liability. While proponents of View A have a compelling argument, the position does not acknowledge that the guidance specifically outlines that contracts are presented on a net basis. However, in determining whether to recognize a net asset or liability, an entity will not consider the impact of recognized receivables. As demonstrated in the examples, an entity can recognize a receivable and a contract asset or a receivable and a contract liability. 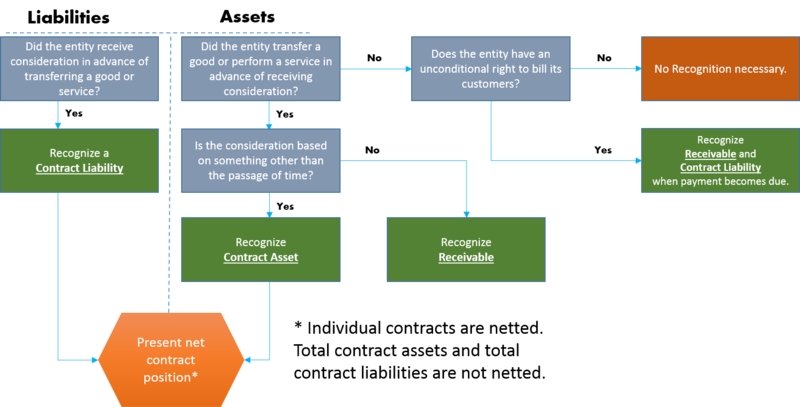 Issue 2: How should an entity determine the presentation of two or more contracts that have been combined under Step 1? When an entity and a customer enter into two or more contracts at or near the same time, the contracts are combined, and the entity accounts for them as a single contract. Considering this, should an entity determine a contract asset or contract liability (a) for each contract separately or (b) as one combined contract? View A: Proponents of this view suggest that the contract asset or liability is determined for each of the individual contracts separately. An entity would need to adjust the amounts otherwise recognized as contract assets and contract liabilities because the transaction price would be allocated across all the performance obligations of the combined contract. View B: Proponents would argue that the contract asset or contract liability position is determined at a combined level because ASC 606-10-25-9 states they are accounted for as a single contract. The purpose of contract combination is to identify a single unit of account (ASU 2014-09 Basis for Conclusion 72). Therefore, the best way to present the rights and obligations of a contract is on a net basis (BC 317). While View A may represent a valid argument of some stakeholders, the Boards’ intention to use a combined contract as the unit of account logically implies that the position of a contract asset or liability should be determined in aggregate. Issue 3: When can an entity offset other balance sheet items against the contract asset or liability? If an entity has invoiced a customer and recognized a receivable for that invoiced amount, and has also collected on previously billed receivables in advance of performance, the question may arise as to whether an entity can offset the receivable and contract liability against each other. ASC 606 does not provide guidance about offsetting balances. An entity would apply other presentation guidance (e.g., ASC 210-20 Balance Sheet – Offsetting) to determine appropriate netting. Issue 4: Can an entity net the sum of its contract assets and the sum of its contract liabilities? While the Boards have concluded that contract assets and contract liabilities relating to an individual (or combined) contract are presented on a net basis, Topic 606 does not explicitly state whether an entity should present its total contract assets and total contract liabilities as separate line items or on a net basis. Therefore, filers will consult other presentation guidance (BC 320). However, ASC 606-10-50-8 states: “An entity shall disclose . . . the opening and closing balances of receivables, contract assets, and contract liabilities from contracts with customers, if not otherwise separately presented or disclosed.” Considering the principles in ASC 210-20 and the new guidance stating that an entity must disclose the balances of each balance sheet item separately, an entity should not combine total contract assets with total contract liabilities to present a net position; both balances should be presented separately from one another. This does not, however, preclude an entity from netting on a customer-by-customer basis when a right to setoff exists in accordance with ASC 210-20. Some companies are concerned about the impacts of implementation. For example, in a comment letter to the Boards one stakeholder argued that it “will not be a simple exercise to comply with the requirements” and that it might actually be “practically impossible” (Comment letter, pp. 3-4). The letter notes that no software exists that can differentiate between conditional and non-conditional amounts; thus, manual assessments will be required to move balances into receivables accounts from contract assets and contract liabilities. This will prove problematic for engineering and construction companies that have thousands of active contracts. URS states that it believes that the guidance on contract assets and contract liabilities “will be expensive and provide little incremental value to users of the financial statements” (Comment letter pp. 4). This is because the balances may differ only slightly from those prepared under ASC 605 but will require higher costs and more work. ASC 606 is similar to prior guidance for construction-type and production-type contracts. However, unlike guidance under ASC 605, Topic 606 permits filers to recognize contract assets and contract liabilities for all types of contracts. The guidance for contract assets differs from previous practices. Under ASC 605, when revenue is recognized but not yet billed, an entity records an asset for unbilled accounts receivable (ASC 605-35). After an invoice is sent to the customer, the related balance is reclassified as billed accounts receivable. Under ASC 606, reclassification from a contract asset to a receivable is contingent on fulfilling performance obligations—not on invoicing a client. As a result, the point at which a contract asset is reclassified as a receivable may be different than the time of invoicing. ASC 606 introduces contract assets and contract liabilities as new concepts, though an entity may use different terms in its financial statements. A contract liability is recognized when a customer prepays consideration or owes prepayment to an entity according to a contract. A contract asset is recognized when an entity has satisfied a performance obligation, but cannot recognize a receivable until fulfilling other obligations. While a contract asset is conditioned on further performance, a receivable is an unconditional right to payment, and both contract assets and receivables are tested for impairment. When presenting contract assets and receivables a company will net contract assets and liabilities on a contract level, but should present them separately in aggregate. ASC 606-10-45-1 to 45-3, 606-10-55-284 to 55-294. URS Corporation response to SEC comment letter, October 21, 2010. 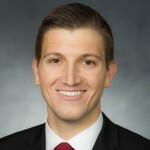 Written by Reed Brimhall, Vice President and Chief Accounting Officer of URS Corporation.